Do you want to go on a fishing trip on a good and checked fishery? Maybe you want to learn how to fish for pike on jerkbaits? Maybe try to fish the fly-fishing or casting? Would you like to go on a fishing trip with a professional guide? Right place! 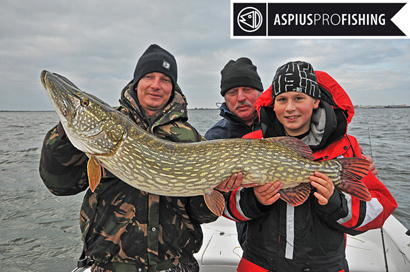 Just for You we have created a company guidedfishing.eu, which cooperate with some of the best anglers from Polish, Europe and various parts of the world. You can go fishing in their company, you can learn from them and enrich Your experience of fishing. We organize individual and group fishing trips. Welcome! Choose fish, for which you would like to go, select the fishery would like to know! We will share with you our passion! We are a tour operator registered in the Register of Tour Operators and Tourist Agents Marshal of the Mazovia under the number 1396. Where do you want to go fishing?